#12DaysOfParenting. Welcome to my blog if you are hopping over from Suburban Mum. In the ideal world this blog post would be showing the Christmas cookies that I made with Little Ladybug today but unfortunately we had little bit of "flour explosion" in the kitchen. While I was have some snuggles with Baby Brother, Little Ladybug decided to make it snow flour in the kitchen. Please head over to Cookies and Cwtches for her Seventh Day of Christmas post. Enter daily the below giveaway for the "Christmas Giveaway Grand Prize" from the #12DaysofParenting sponsors. Full Terms and Conditions can be found HERE. UK Residents Only. 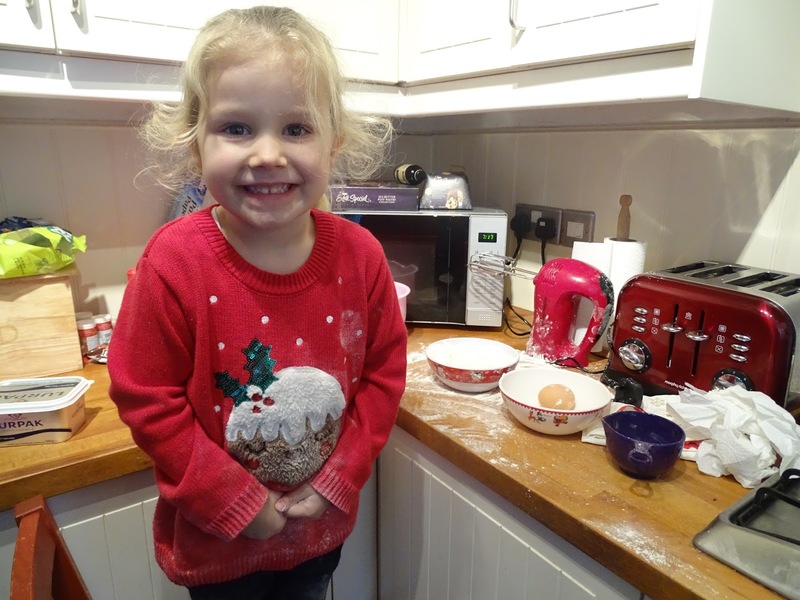 You just can't be cross with that cheeky face - snow flour is a lot of fun too!